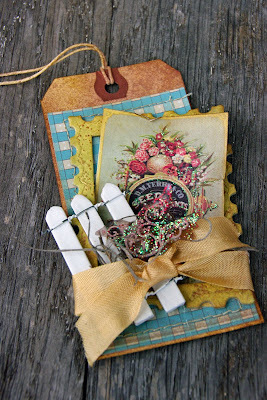 I have always loved Crafty Secrets lovely images. Vintage images that bring you back to a simpler time. These garden images have been my favorite lately. 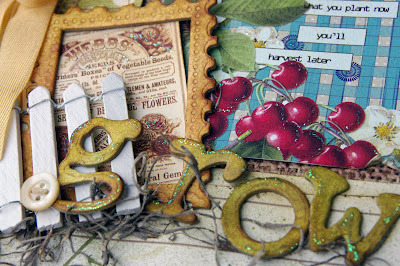 Here are some of the creations that I recently did for the Tattered Angels blog for this month. 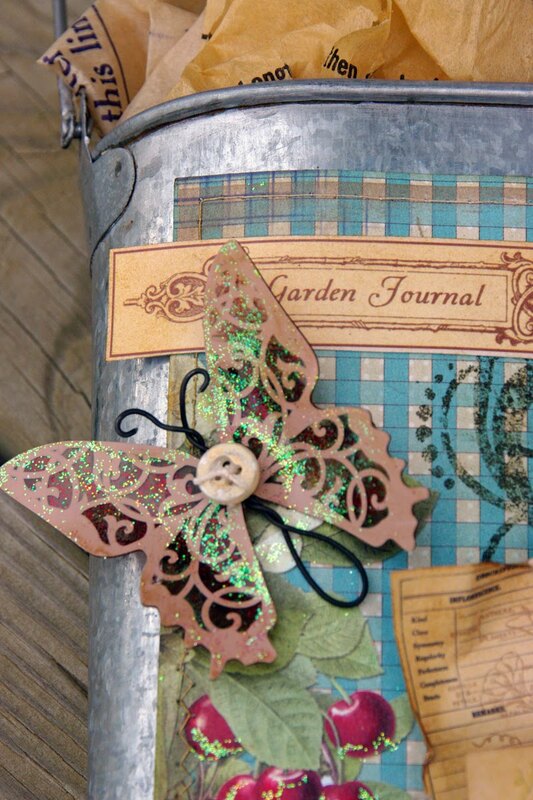 I combined Webster's Pages, Crafty Secrets and Tattered Angels to grow some garden goodness. 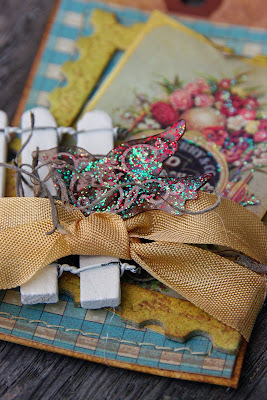 I just love all the vintage details that can stand alone or add some glimmery goodness with Tattered Angels and some glitter. Everything needs a little bling sometimes!!! Each image is oh so precious... 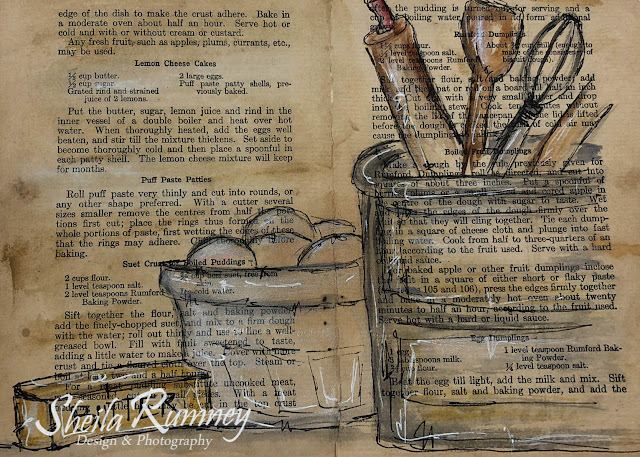 They even make onions look good! 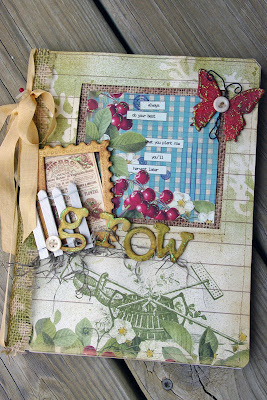 For next month I am again going to be creating with some Crafty Secrets images from their Sew Nice Collection. 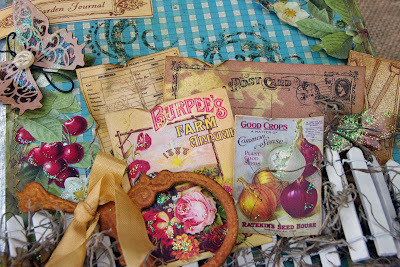 What vintage inspired products do you like to create with? I would love to hear! 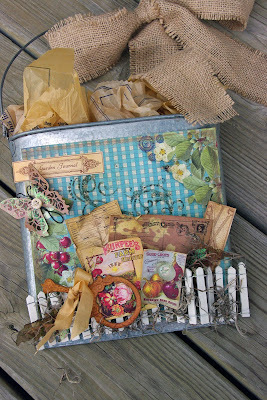 You already know what vintage goodies I like to craft with...since you're my crafting buddy:) Your garden creations are delicious!